Let the dinner plate be the inspiration for your upcoming celebration. 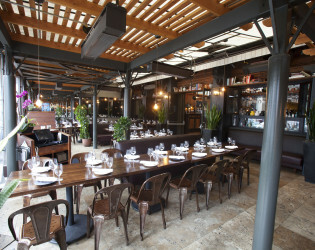 Whisknladle uses locally sourced organic foods to create the perfect gathering for 16 of your nearest and dearest. 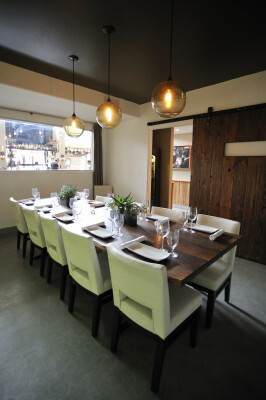 Head into the private dining room where the idea that food brings people together is highlighted. We guarantee that both your friends and taste buds will be partying all night. 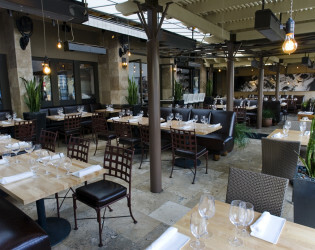 We are proud to be the neighborhoods go-to bistro for fine-dining, quality food in a comfortable atmosphere where you will feel amongst friends. 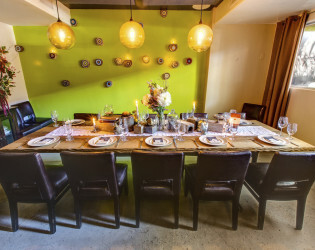 You'll feel tucked safely away in our quaint private dining room at Whisknladle. Fitted with a beautiful African walnut dining table, leather chairs & state-of-the-art audio/visual equipment, our private dining room is a comfortable escape from the bustling main dining room. 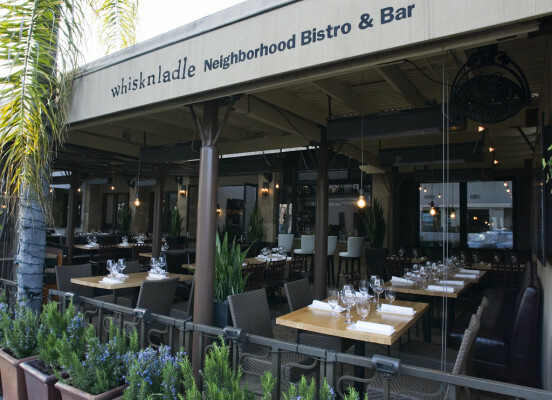 Whether you're planning a party or a meeting, enjoy the attentive service and personalized touches that take the average private dining experience to the next level at Whisknladle. Ultimately, our goal is to recreate the comfort and sensation of a great home cooked meal but at the gourmet level. 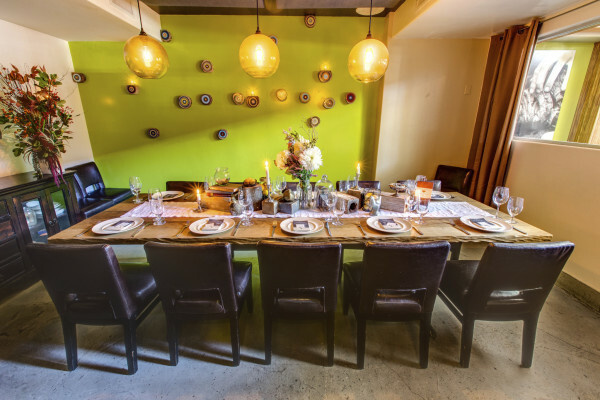 The rustic touches and simplistic decor will give your guests the experience of dining at your home, except you wont have to do the dishes! 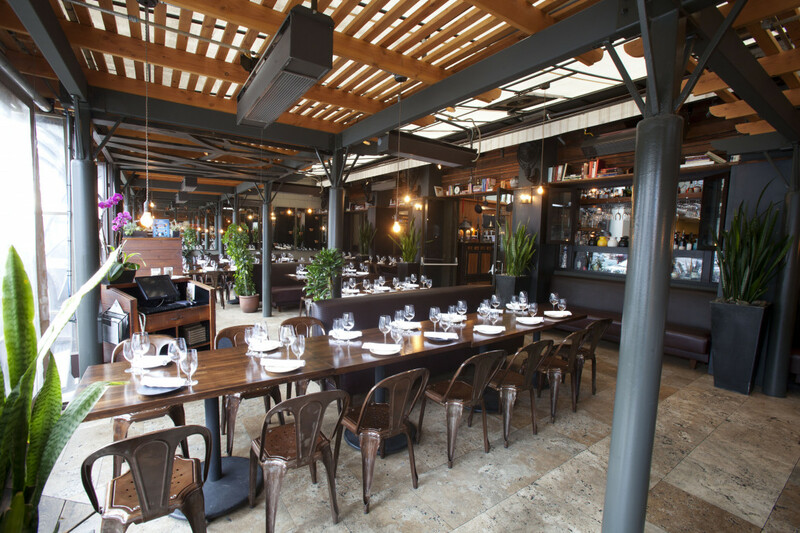 We like to let the food do the talking so the decor is left minimal and classic. 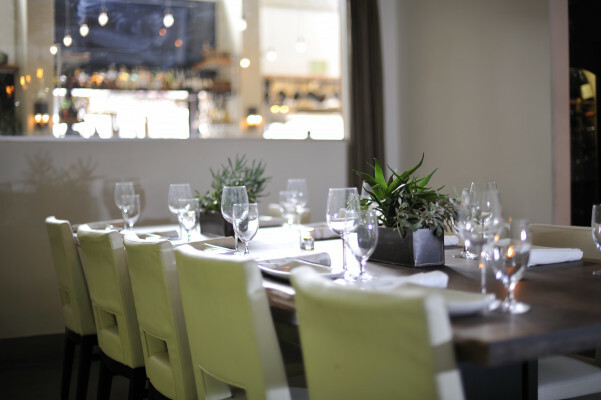 All of our special events are served family style with no menus, no orders and no individual dishes. All the food is brought to the table and served by one guest to another… We do this because we truly believe that food and wine are at their best as a shared experience… Dining out for us is not simply about eating but rather about enjoying the company we are with… Family style dining creates a greater human interaction making the food itself, just a side dish to a great conversation and better relationships... It also allows people to try many different dishes rather than having to commit to just one or two. 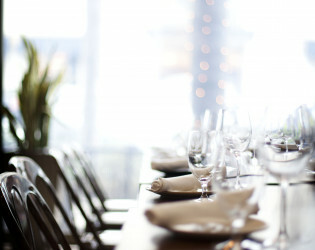 Included with your event is the following: * Custom printed menu for each place setting. You can even customize the header to say something like "Happy Birthday" or "Congratulations!" * Tea light candles * Access to our flat screen T.V. in the private space for presentations or slideshows * Complimentary cake cutting fee if you wish to bring in a celebratory dessert. 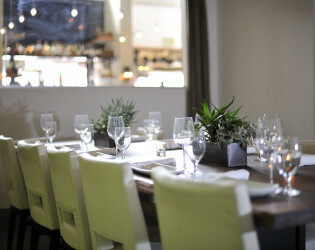 Casual fine dining that provides farm to table, seasonal food in a comfortable setting. 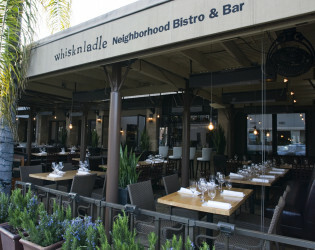 - View: Whisknladle offers an open air dining room that allows you to enjoy the beauty of La Jolla. Farm to table, seasonal food at an affordable price. 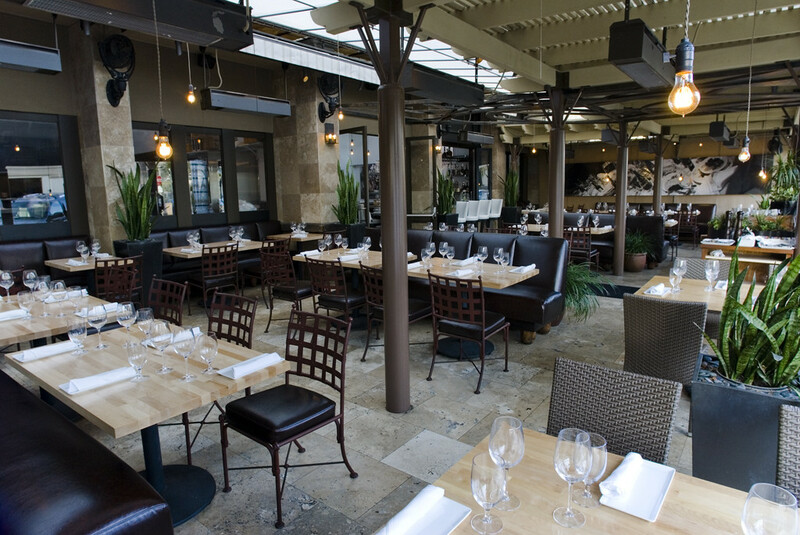 The neighborhoods go-to bistro for fine-dining, quality food in a comfortable atmosphere where you will feel amongst friends. The rustic touches and simplistic decor will give your guests the experience of dining at your home, except you wont have to do the dishes! Family style dining creates a greater human interaction making the food itself, just a side dish to a great conversation and better relationships. Ultimately, our goal is to recreate the comfort and sensation of a great home cooked meal but at the gourmet level. 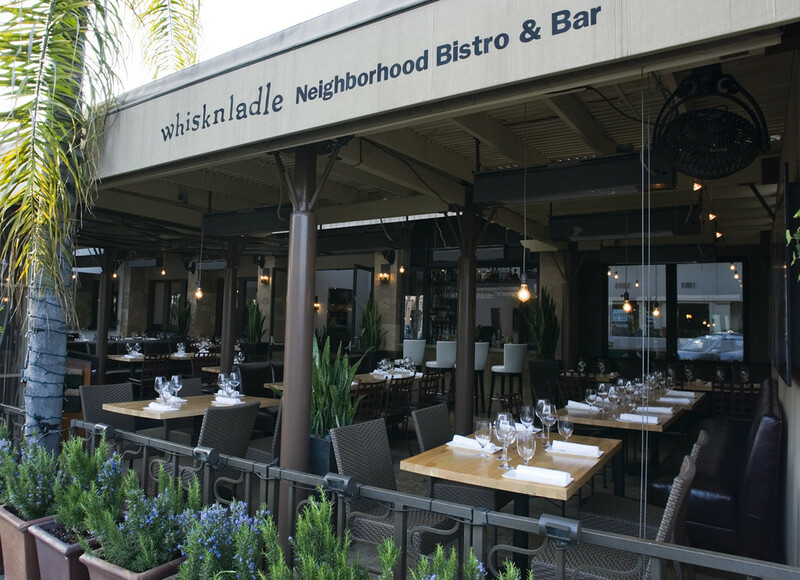 Whether you're planning a party or a meeting, enjoy the attentive service and personalized touches that take the average private dining experience to the next level at Whisknladle. 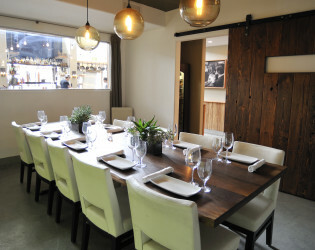 You'll feel tucked safely away in our quaint private dining room at Whisknladle. Dining out for us is not simply about eating but rather about enjoying the company we are with. 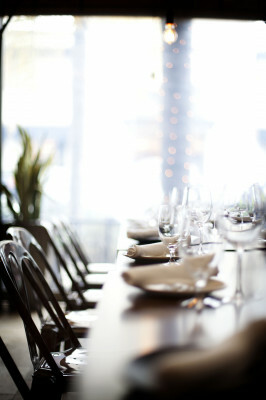 All of our special events are served family style with no menus, no orders and no individual dishes.